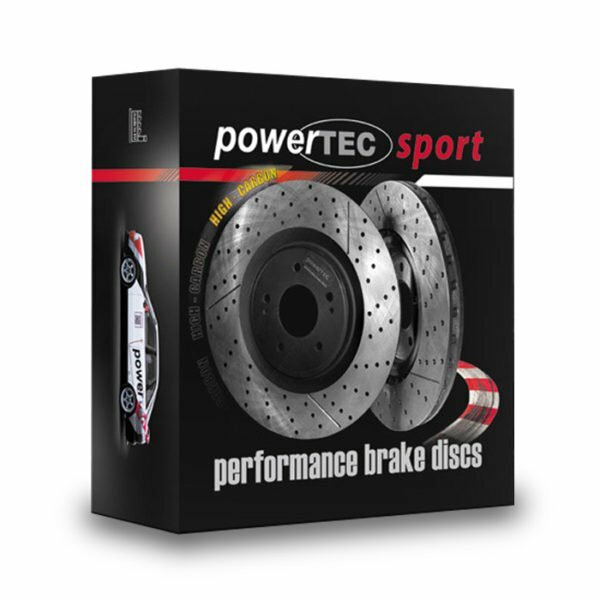 THHC045 As an upgrade or a replacement, PowerTEC Sport Brake Discs take you to the different performance level. THHC045 As an upgrade or a replacement, PowerTEC Sport Brake Discs take you to the different performance level. Our discs are vented, slotted and drilled to give you the best experience. Carbon content improves the thermal stability and the lifespan of your braking system. To make PowerTEC Sport High carbon brake discs only the best materials have been used, very successfully in high performance racing environments since the late nineteen seventies. Our PowerTEC Sport High Carbon discs are tested and confirmed by ISO 9001 Certificate, ISO/TS 16949:2009 Certificate, EAC and TÜV Rheinland. Worn-out or inferior brake discs can have a dramatic effect on your braking system’s performance – upgrading to PowerTEC Sport High Carbon Brake Discs can help you get the most from your braking system!